When you buy a new phone from Verizon and activate it, you have up to 30 days to decide if you want additional coverage for it outside of the phone’s manufacturer warranty. If you do not add on the extra protection within those first 30 days, but decide later on that you want the coverage, you are out of luck until this time each year, when Verizon kicks off open enrollment for protection plans. Think of it like a 2nd chance to cover your phone for accidental damage, loss, or theft. Verizon currently has three programs that you can enroll in: Extended Warranty, Asurion’s Phone Protection, or Total Equipment Coverage (TEC). An Extended Warranty runs $3.00 per month and is good for a free replacement for “mechanical or electrical defects” after your manufacturer warranty expires. 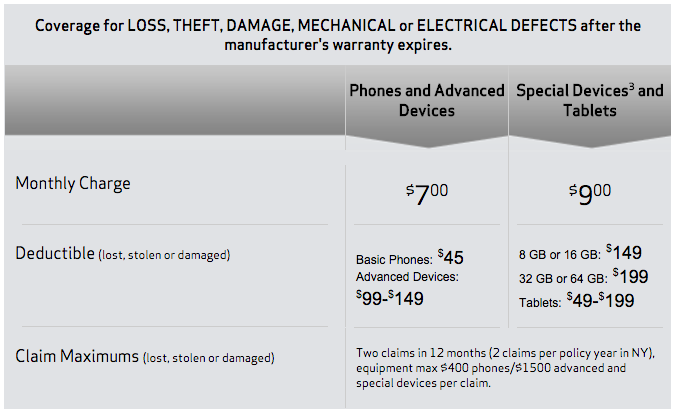 Asurion’s Phone Protection plan runs $7.15 per month ($5.00 for tablets) and covers your device against loss, theft, or accidental damage, “including water damage.” Total Equipment Coverage (TEC) runs $9.00 per month and combines the Extended Warranty and Asurion’s Phone Protection Plan. If you decide that you would like to enroll, you can do so between today and March 13. For more information on each plan and to enroll, hit up the link below.